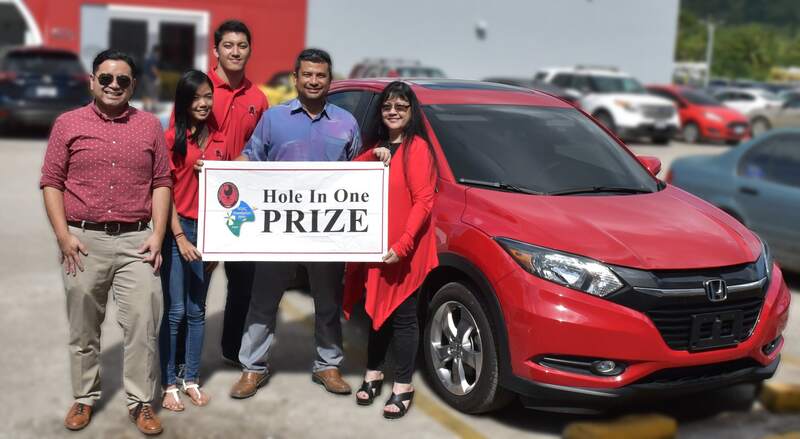 Joeten Motors has announced that it is offering a brand new Honda HRV as a hole-in-one prize in the upcoming 15th Annual NMC Foundation Golf Tournament. The Golf Tournament is scheduled for Saturday, March 3, 2018, at LaoLao Bay Golf & Resort. The golf tournament is the NMC Foundation�s signature event that raises funds to support NMC�s academic programs and services. The 15th Annual NMC Foundation Open Golf Tournament will be held on Saturday, March 3, 2018, at the Saipan LaoLao Bay Golf & Resort (West Course). Showtime is at 6 a.m. and the shotgun start will be at 7 a.m. The tournament will follow a medal play format. First place winners in the men�s Championship, A, B, C, Senior, and Ladies Flights will each receive $500, while $300 and $200 will go to the second and third place finishers, respectively. Additional hole-in-one prizes include a Toyota Tacoma Pre-Runner, $10,000 in cash from Marianas Insurance Company, and $5,000 in cash from Pacifica Insurance. The tournament will also feature many other items as raffle prizes like smartphones, hotel stays, meal gift certificates, and other luxury items. Registration and payment can be made at Laolao Bay Golf & Resort or the NMC Cashier�s Office. For sponsorship opportunities or registration information, visit marianas.edu or call 237-6833.